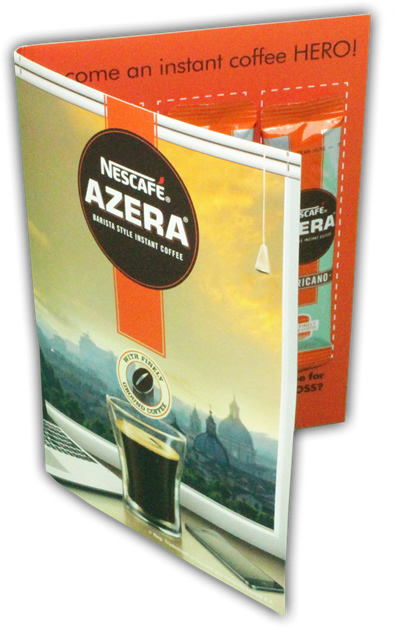 Free Nescafé Azera Samples for your Office! Claim Yours Now - Become a Coffee HERO! Become an instant coffee HERO! Request FREE NESCAFÉ® AZERA® Samples for Your Office and Become an Instant Coffee HERO – with Nescafé Azera & Zepbrook! Share how much of a coffee hero you are! *Subject to availability and eligibility. Terms & Conditions apply. Zepbrook Limited reserve the right to reject a submission without notice or reason, including but not limited to: submissions requesting delivery to a residential address; submissions in areas we do not normally deliver to; duplicate submissions; invalid or incomplete submissions. We reserve the right to decide how many (if any) samples are delivered, as well as how and when they are delivered. Whilst we will make our best efforts to deliver, this is not a purchase order and therefore we offer no guarantee or returns policy. Samples are a promotional product consisting of: 3 x single cup serving sachets. NESCAFÉ® AZERA® are Registered® Trademarks of Société des Produits Nestlé S.A. All product and company names are Trademarks™ or Registered® Trademarks of their respective holders. Use of them does not imply any affiliation with or endorsement by them.